I know I am supposed to be on a healthy eating spree but then I believe that on festivals, you should eat and not think about diets and healthy food etc. All that you should think about is tasty, yummy and delicious food. So I decided to go ahead and make a curry which is absolutely delicious. I made the masala powder based on what spices I felt like cooking the chicken and egg with. I have made the masala powder and saved it for future recipes. It is a pretty versatile spice powder. And really does not take too long to make. This serves 2-3 persons and takes about 45 mins to prepare. Dry roast the ingredients under the masala powder list. Once the dry spices are roasted and smell wonderful, grind the spices to a fine powder. Marinate the chicken pieces in a paste made of the garlic, ginger and coriander leaves. In the meanwhile heat the oil and add the red onions to it. Fry the onions till it is dark brown. Now add 2 tsp of the masala powder and mix till throughly mixed. Next add the chopped tomatoes and let the tomatoes get mushy. Add some water to this mixture if it gets too dry. Once the tomatoes are cooked thoroughly, add the chicken cubes to the onion mixture. Cook the chicken till cooked through. Now add the water to the chicken and let the curry simmer for 5 mins. Next add the coconut milk, hard boiled eggs and salt to taste. 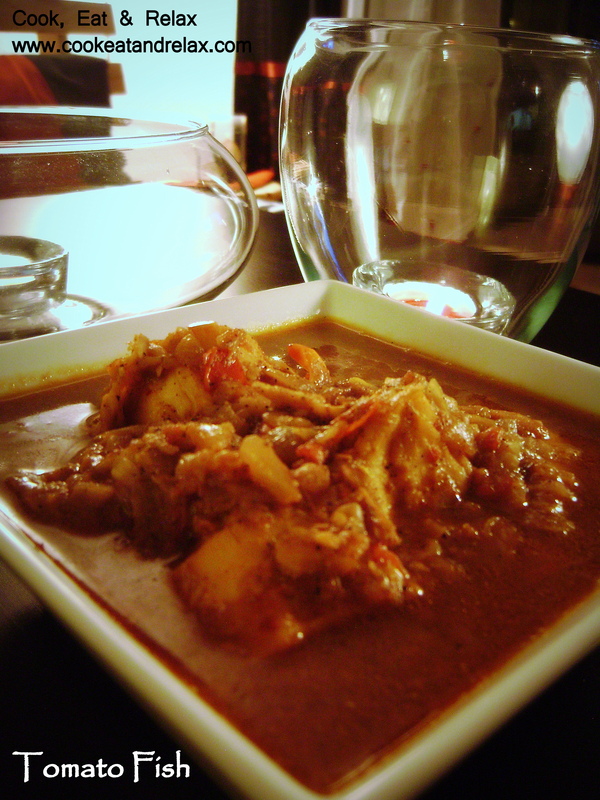 Let the curry cook for a few mins till you get the desired consistency for the gravy. 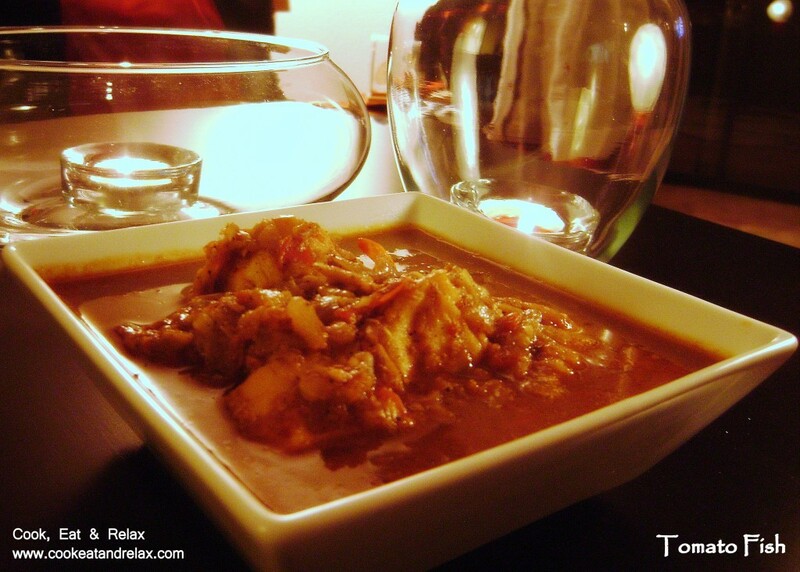 Thanks for reading my blog and do let me know how the dish turns out if you do try it. 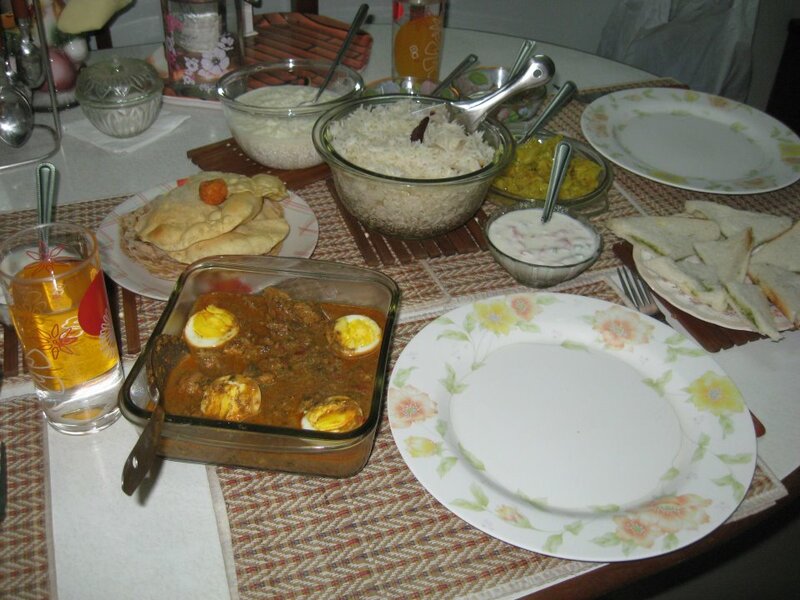 My aunt Geetha made the dish for her Vishu Meal… That’s New year’s day in Kerala… I am honored…. My mom used to make tomato fish very often specially when we had guests over. 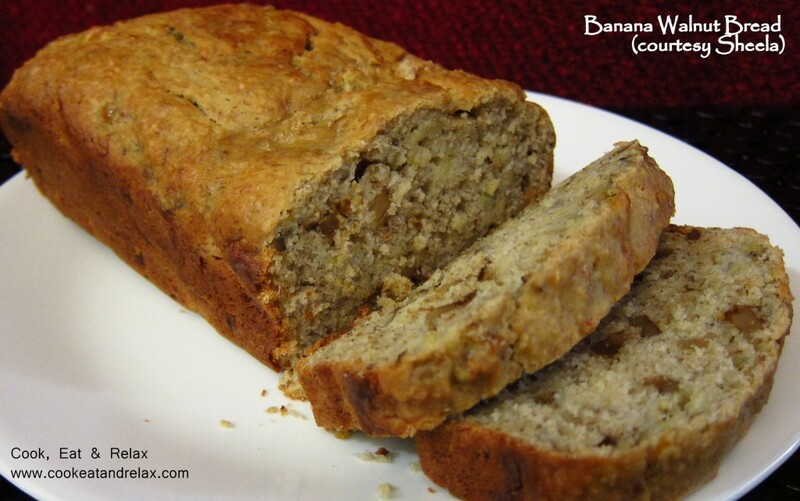 I love this recipe because it is simple and easy to make. It also requires minimal ingredients. 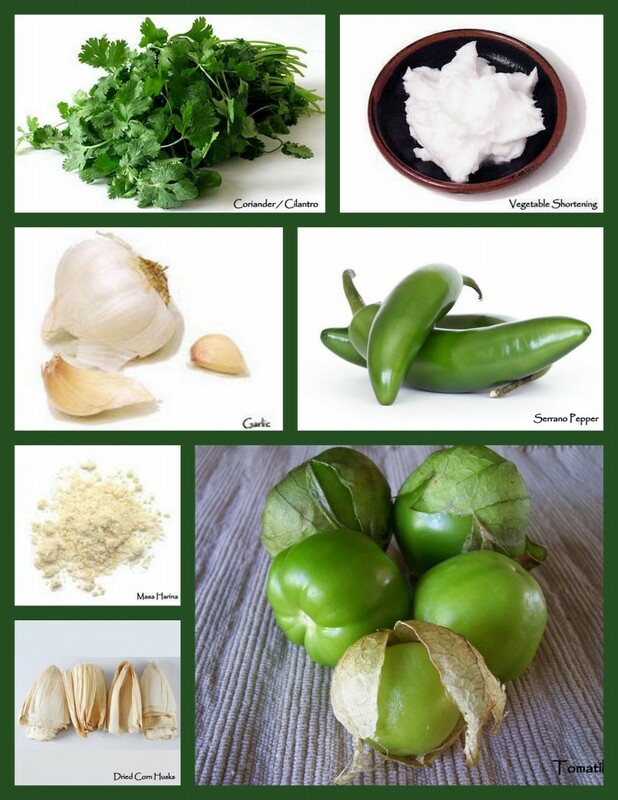 Most of the ingredients are almost always at home in my pantry or refrigerator. I have made this about 3-4 times but never found the time to take pictures before we ate it all. This serves about 2 persons. Marinate the fish pieces with the turmeric, cayenne pepper and salt. Marinate the fish for about 2 hrs or overnight. Heat 2 tsp of the oil in a saucepan and add the fish to it. Fry the fish pieces on each side for about 2 mins each. Remove the fish pieces from the saucepan and set it aside. Add the rest of the oil to the same saucepan . 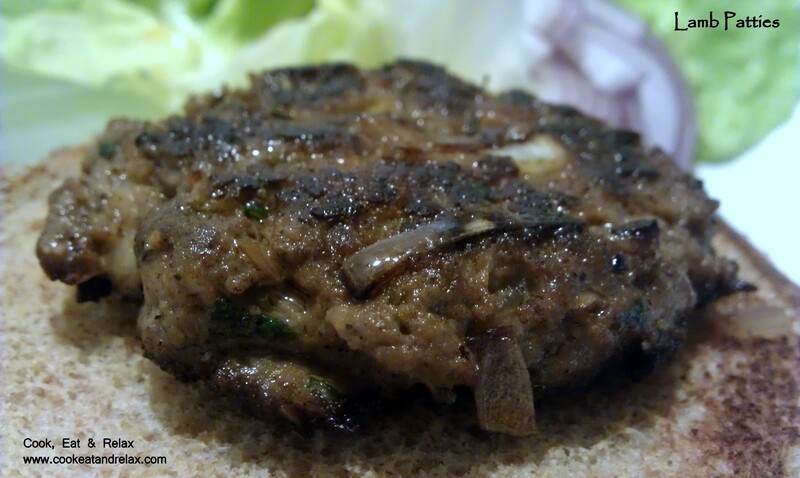 Once the oil is hot add the fenugreek seeds and asafoetida. Once the seeds are brown, add the shallots, ginger nad garlic to the oil and fry till it is browned. Now add the dry spices to this mixture. Once the spices are mixed with the shallots and ginger-garlic mixture, add the tomato. Cook the mixture till the tomato is completely cooked and all mushy. Add the cup of water to the mixture and bring to a boil. 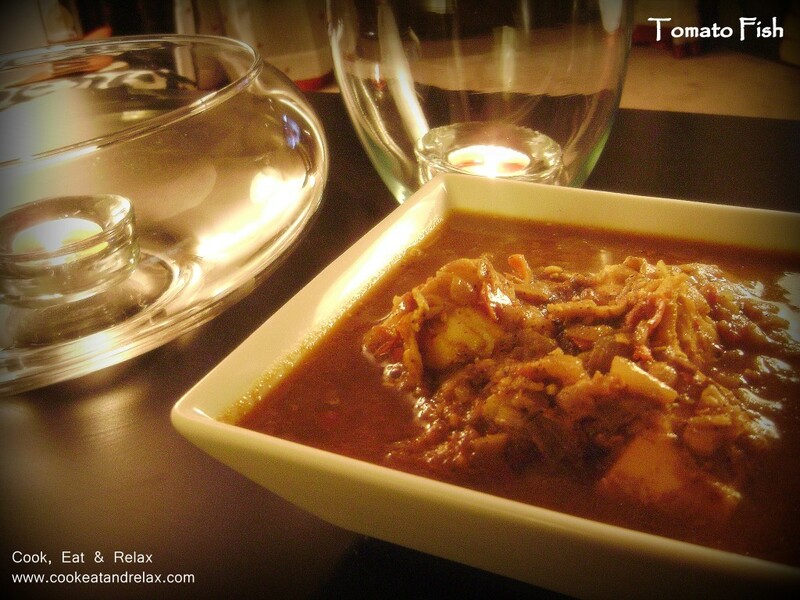 Add the tamarind to the mixture and let it simmer for a couple of minutes. Next add the fish pieces to the gravy. Let the tomato fish simmer for about 10-20 mins. This will thicken the gravy and cook the fish. This is not the same recipe that my mom follows when she makes her tomato fish. She fries the fish and then adds it into the gravy. I just cook it to ensure that it is cooked faster. 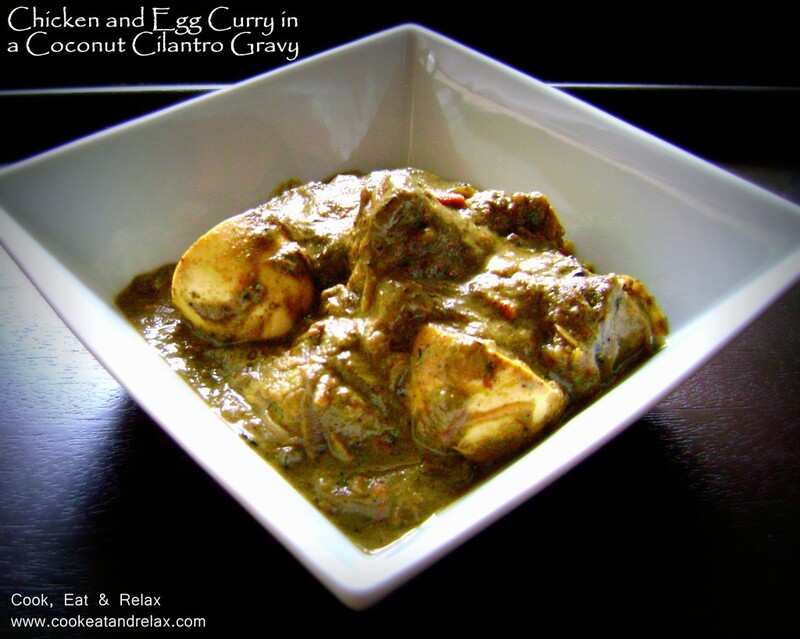 I love this curry specially since it goes well with rice, bread or even chappatis. It is a spicy dish and you can go slow on the green chili, cayenne pepper or the black pepper. Hope you enjoy this dish as much as I did and thanks for reading. I made this bread without the topping though about a month back and then I was supposed to complete the challenge but then a ton of things happened last month and this got pushed to the back burner. But there was no way I wasn’t gonna make it ultimately, it just looks so awesome and I have overcome my fear of baking yeast breads now so I had to try it. The daring bakers version was made of all-purpose flour. 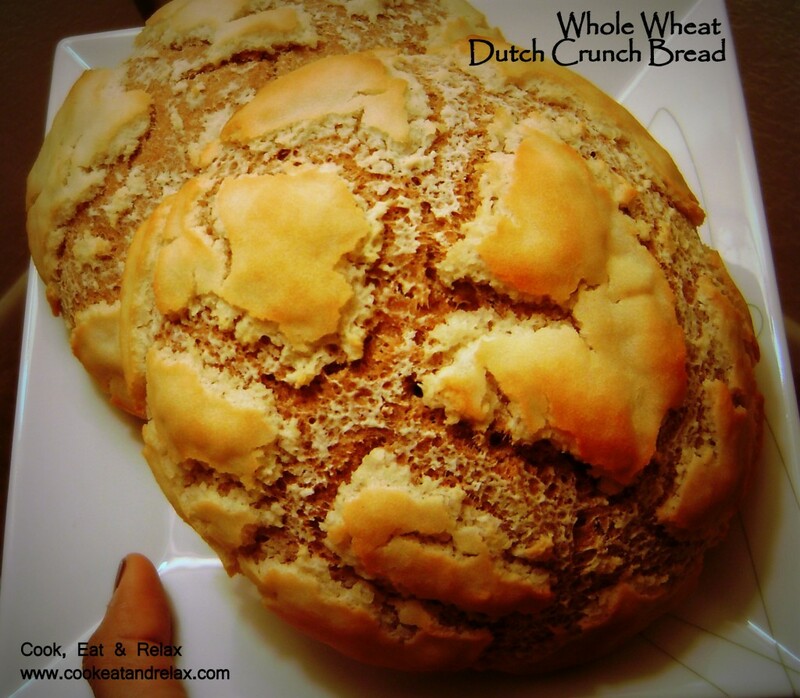 I decided to make the bread with whole wheat flour instead but stuck to the recipe for the topping as is. The result was a beautiful looking tiger bread and a bread made of whole wheat flour! 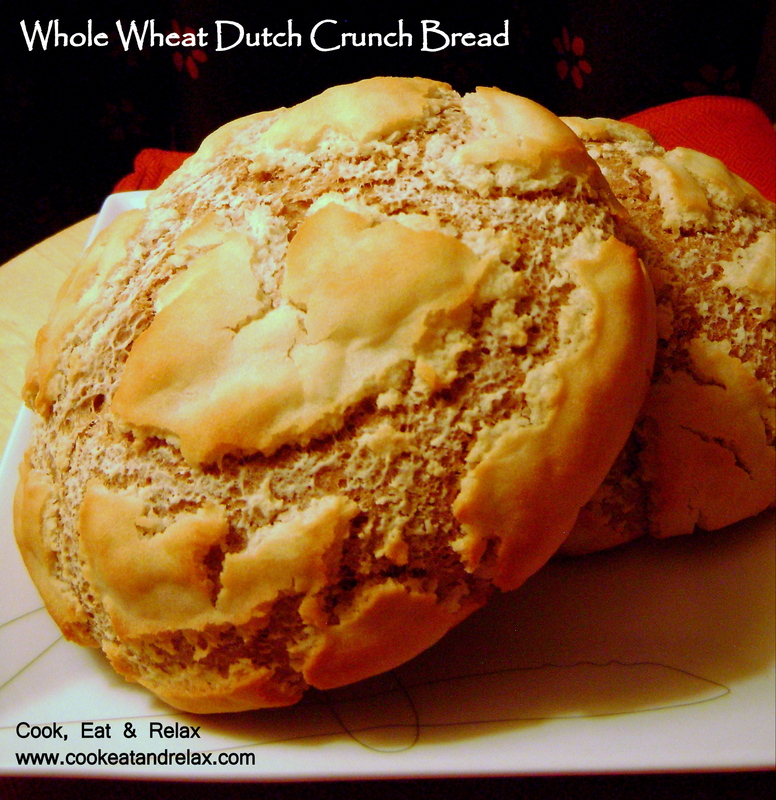 I have here first the recipe for the dutch crunch topping and the second recipe is for the bread itself. Combine all ingredients in a large bowl and beat with a whisk; beat hard to combine. The consistency should be like stiff royal icing – spreadable, but not too runny. If you pull some up with your whisk, as shown below, it should drip off slowly. Add more water or rice flour as necessary. Let stand 15 minutes. Coat the top of each loaf or roll with a thick layer of topping. We tried coating it with a brush but it worked better just to use fingers or a spoon and kind of spread it around. You should err on the side of applying too much topping – a thin layer will not crack properly. Let stand, uncovered, for any additional time your recipe recommends. With the Soft White Roll, you can place the rolls directly into the oven after applying the topping. 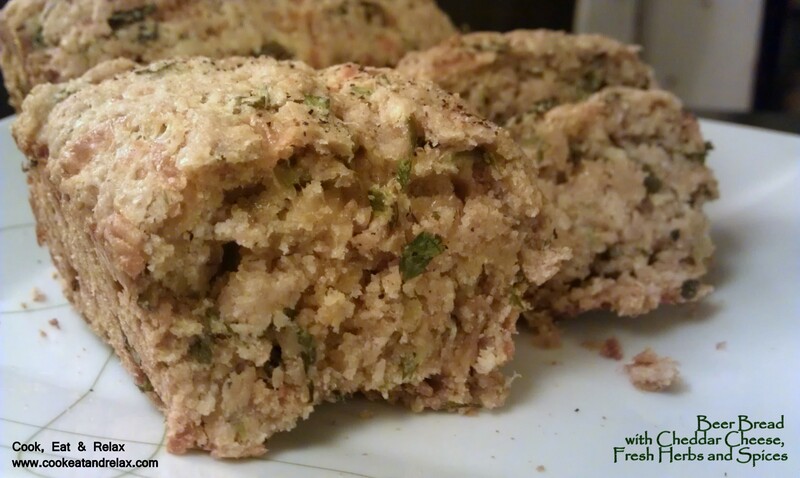 With the Brown Rice Bread, the loaves should stand for 20 minutes with the topping before baking. When baking, place pans on a rack in the center of the oven and bake your bread as you ordinarily would. 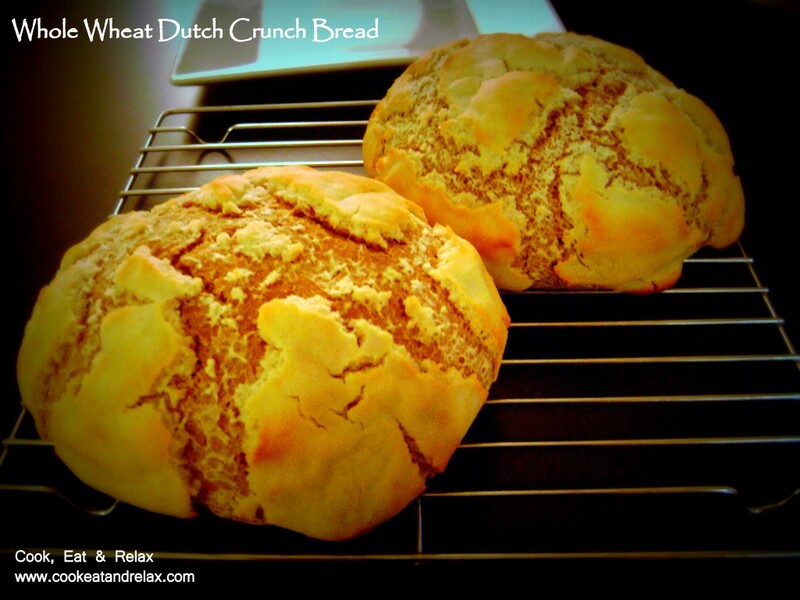 The Dutch Crunch topping should crack and turn a nice golden-brown color. In the bowl of an electric mixer or large mixing bowl, combine yeast, water, milk and sugar. Stir to dissolve and let sit for about 5 minutes (The mixture should start to bubble or foam a bit and smell yeasty). Add in vegetable oil, salt and 2 cups of flour. Using the dough hook attachment or a wooden spoon, mix at medium speed until the dough comes together. (The photo to the right is with the first 2 cups of flour added). Add remaining flour a quarter cup at time until the dough pulls away from the sides of the bowl, as shown in the photo below (For us, this usually required an additional 1½ to 2 cups of flour). Turn out onto a lightly floured surface and knead for about 4 minutes, until smooth and elastic. Coat the top of each roll or loaf with the topping as described above. While the original recipe recommends letting them stand for 20 minutes after applying the topping, I got better results by putting them directly into the oven. Once you’ve applied the topping, bake in a preheated moderately hot 380ºF/190°C/gas mark 5 for 25-30 minutes, until well browned. Let cool completely on a wire rack before eating. If you make the bread with all-purpose flour this is a soft sandwich roll. 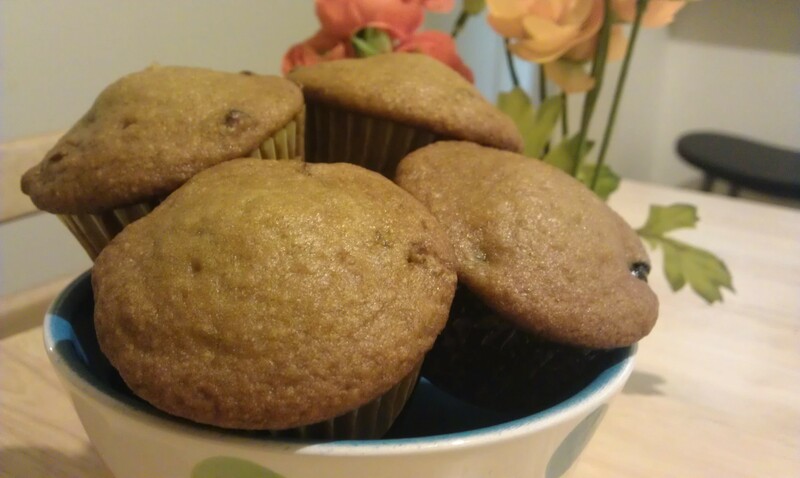 I decided to use whole wheat flour because I am on a healthy eating spree. Hope you enjoyed this recipe. I loved it and a big thank you to Sara and Erica from Baking JDs. Their instructions and recipe were both brilliant and thanks to them now I can make this pretty looking bread at home anytime I wish. 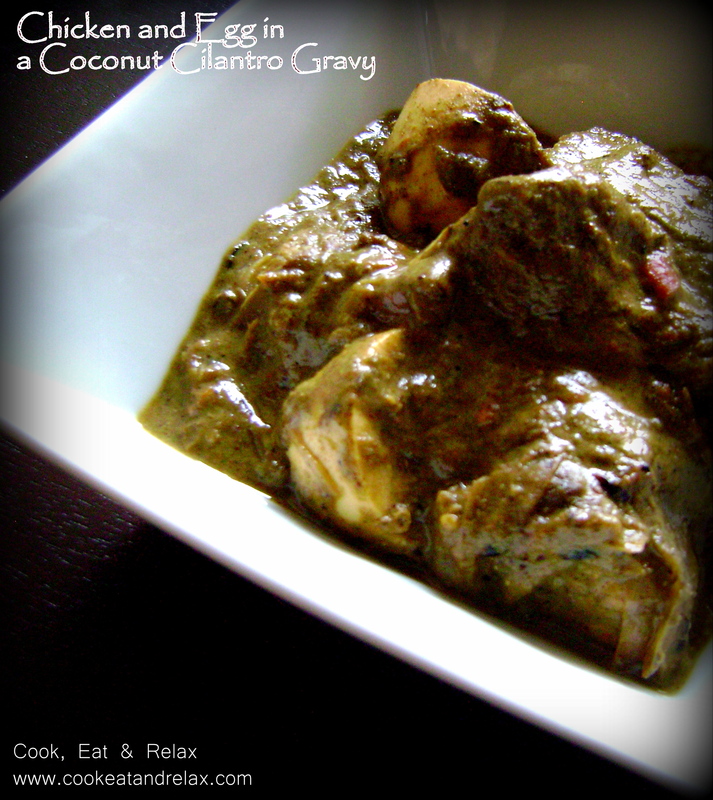 Ready in a few minutes and lip-smacking delicious!!! 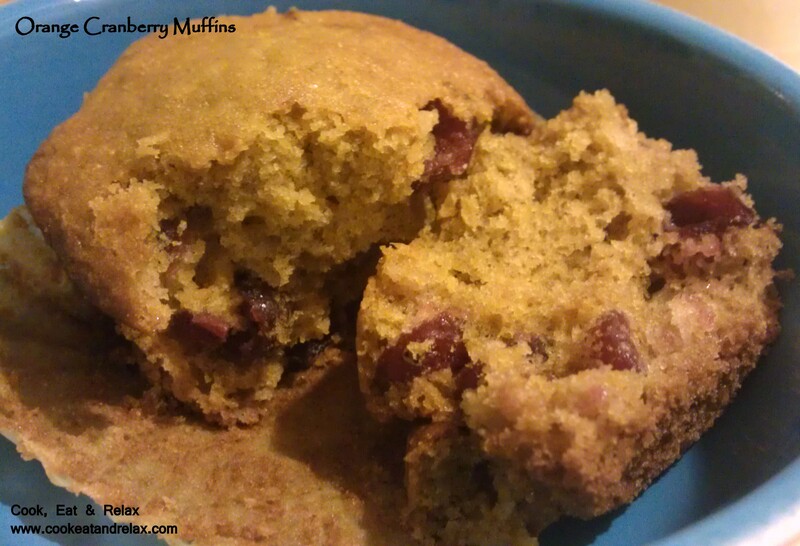 As promised, here is another quick and easy to make recipe. I was at Target the other day and I picked up some shrimp for dinner. As I was roaming around the store, I picked up a bottle of relish. It was a pineapple and habanero relish. Oh yes and since I am on a healthy eating spree, I decided to throw in some broccoli. It takes about 20 minutes to prepare and I ate this with white rice. It was delicious, the pineapple and habanero make an awesome combination. 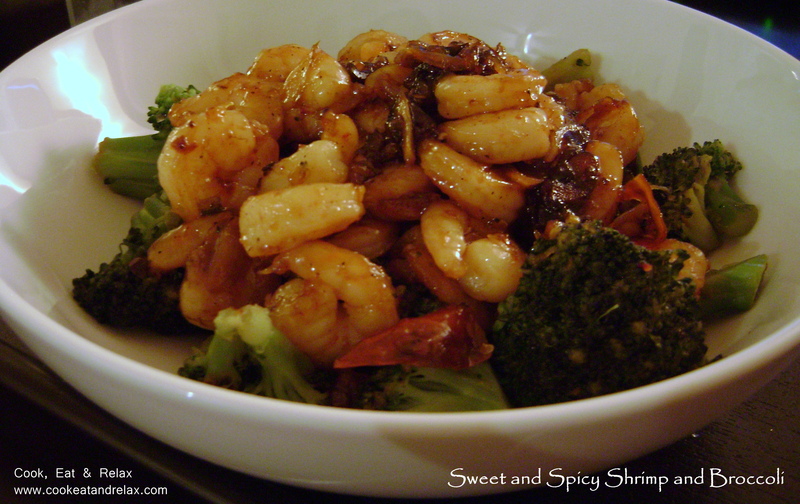 Marinate the shrimp in the relish, chili paste, soy sauce, salt and pepper for about 10 mins. In the meanwhile boil a pot of water and add some salt. Once the water is boiling add the broccoli to it and let it cook for a couple of mins. Remove the broccoli and set aside. Heat the olive oil and add the garlic and chilies to it. Once the garlic browns add the shrimp to the oil and let it cook till the sauce thickens. 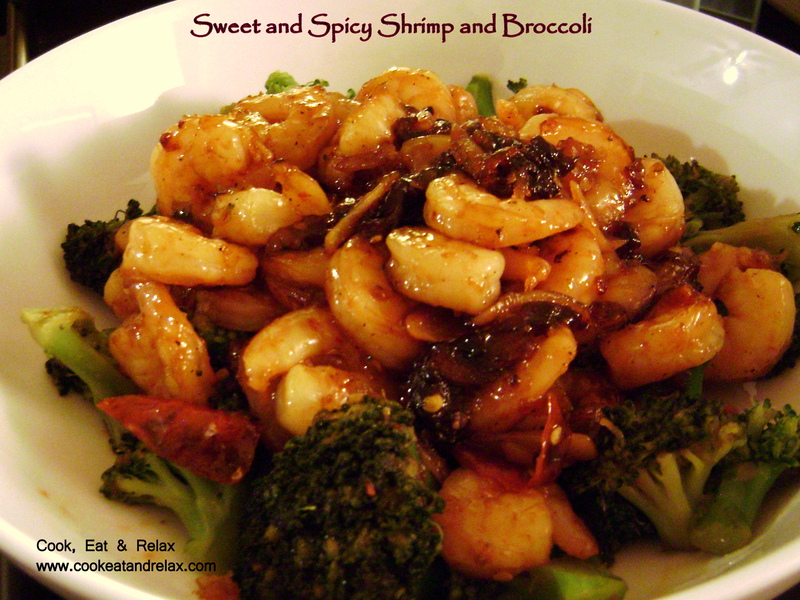 Once the shrimp is cooked remove it and set it aside. Add the broccoli to the same pan and saute for a couple of mins. This was really easy to make and was delicious. A little spicy, so you could avoid the green chilies if you don’t want to take a chance with making it too spicy. And make sure that the sauce thickens to a sticky paste before taking it off the heat. The caramalized pineapple habanero relish was brilliant. 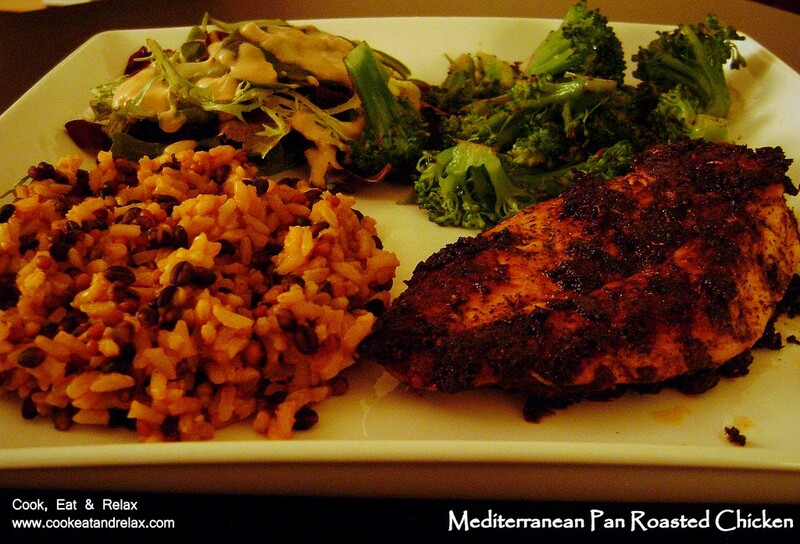 Hope you enjoy this easy to make dish and thanks for reading. 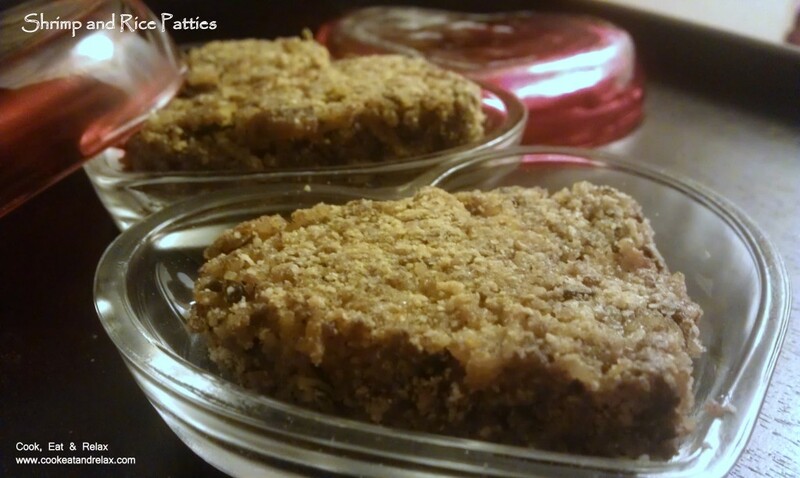 I continue with my quick and easy to make recipe series, atleast for now. This is really easy to make, takes almost no active time other than to flip the chicken breasts. The pan roasting and then oven roasting ensures that the outside is nice and crisp and the inside is still juicy and moist and not dried out. The next few posts are going to be brief as I really have no time but I still need a break from work, research and everything else once in a while. And yeah this blog is my way of taking a break and doing what I love… This recipe serves one and takes about 30 mins to cook. The marination time is anywhere between 30 mins to 2 hrs. Marinate the chicken breast in the ingredients listed above. I marinated the chicken for about 1.5 hours. Heat the 3 tsps of olive oil in a pan. Place the chicken breast in the pan and roast it till it is browned on both sides (about 12-15 mins). Now transfer the pan to the oven and continue cooking the chicken breast. Flip the chicken in about 5-7 mins and continue cooking till the outsides are crisp and the chicken breasts are cooked through. 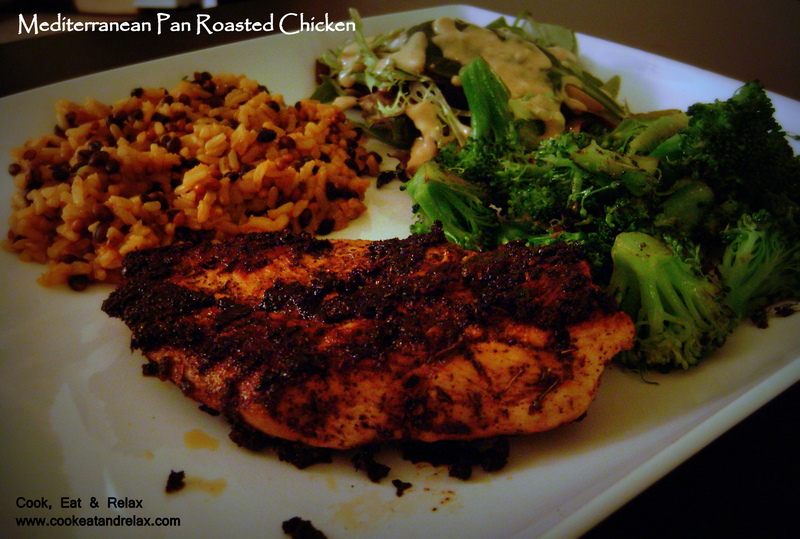 I served this with some roasted broccoli, salad and wild rice. And it was delicious and very healthy and as a bonus took almost no time to cook. 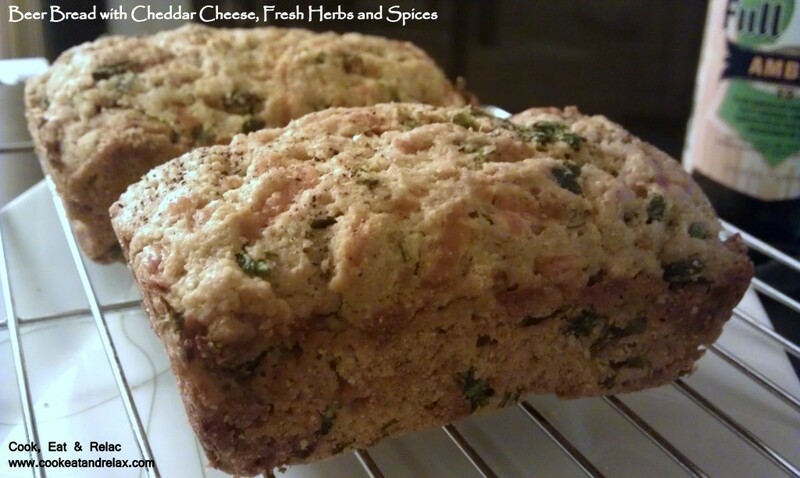 Hope you enjoy it and do let me know what you think of the recipe if you do try it. I have grown up having lentils in some form or the other almost everyday. It is one of the most versatile food item, I can think of. Just by changing what kind of lentil you use, you can change the taste of the entire dish, you can also add different kinds of spices to it and make it a completely different dish. In fact I love to make soups, main dishes or desserts with it. 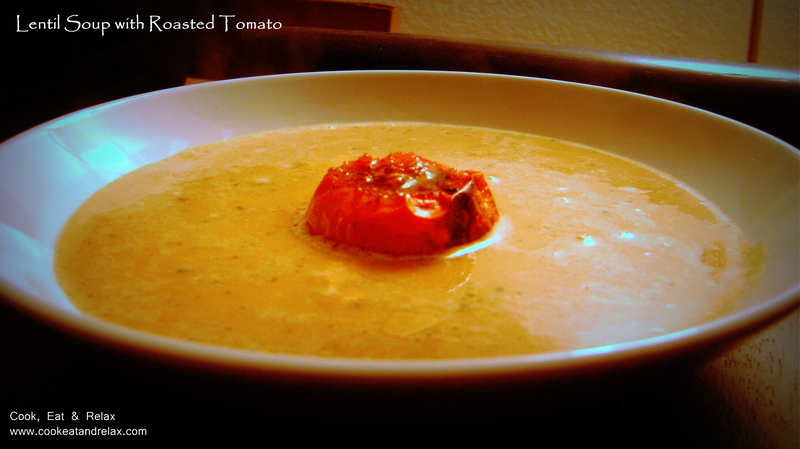 Today I am going to write about an awesome lentil soup with roasted tomato. The soup itself is ready in no time if the lentils are cooked. Cooking the lentils takes different amounts of time depending on what type of lentil you use. I used two kinds of lentils for this soup, moong dal (split mung lentils) and toor dal (pigeon peas) but you could use any combination. After having made the soup, I was wondering what would make the lentil soup pop! 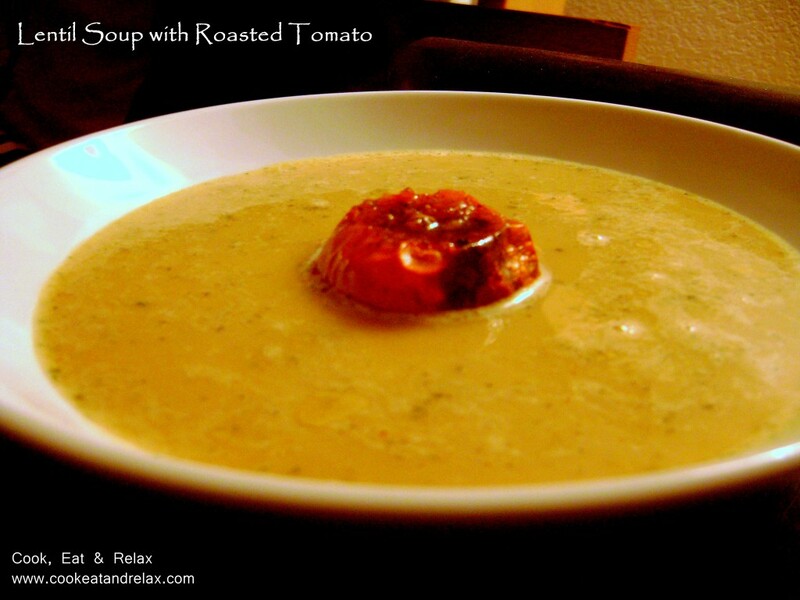 I had these roma tomatoes in the fridge and thought of using it as the red pop in my lentil soup. So here’s the recipe. It is really easy to make and quick specially if you have the lentils already cooked. Preheat the oven to about 350 F.
Wash and cut off the base of the tomato so that it would stand upright in a baking dish. Remove the pulp from the tomato into a small bowl and mix the olive oil, salt and pepper in it and transfer it back into the tomato. Place the tomato in the oven for about 20-30 mins or till it is soft and mushy. Add the minced garlic and the green chilies to the olive oil. Once the garlic is browned, add the dry spices to the garlic and fry for a few seconds. Next add the cooked lentils and the water to the garlic and bring to a boil. Next add the chopped coriander leaves, sour cream and molasses. Simmer this for about 15-20 mins and add salt to taste. Transfer the soup to a blender and blend for a couple of minutes. Cooking just for one person is definitely one of the most boring things ever. Firstly I love to cook / bake because I love to feed people so half the fun is lost when I am cooking for myself. The next few recipes that I plan on making are either going to be quick to make or just plain healthy… Atleast that’s what I am thinking right now. 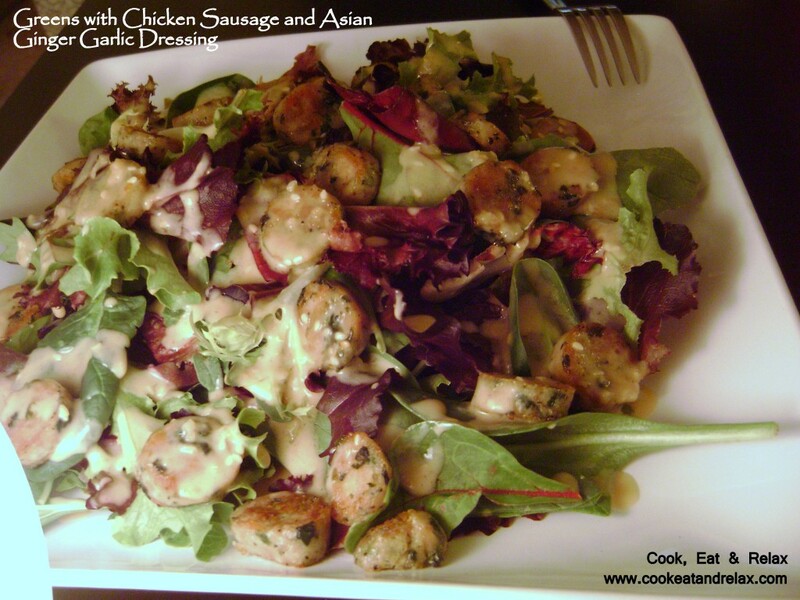 So here’s the first one, I made this easy to put together salad with chicken sausage and a very interesting asian style dressing. It would take about 15 mins to put together. Heat the olive oil in a small saucepan. Next add the minced garlic and fry till it is lightly browned. Next add the sesame oil to the garlic in the saucepan and stir till it is mixed. 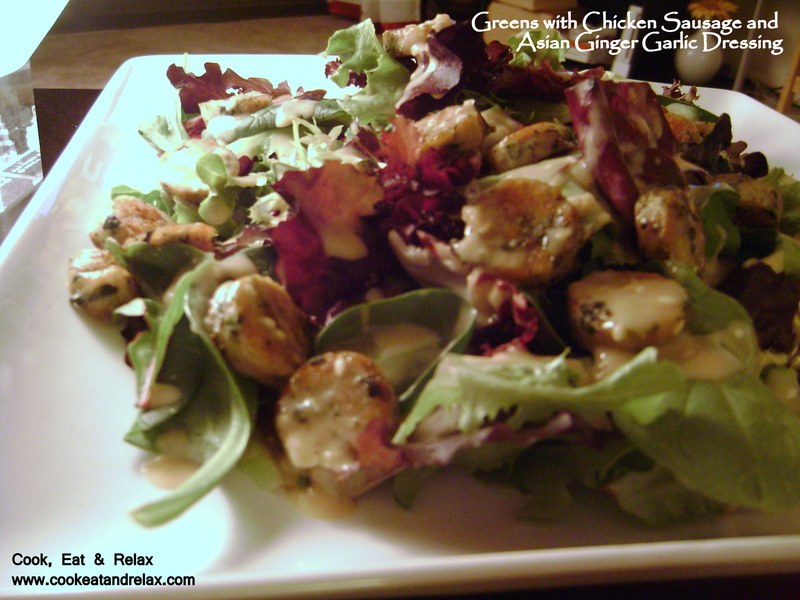 Mix the rest of the ingredients under dressing using a hand mixer and add the garlic – sesame oil mixture to it. Mix the greens and vegetables together. Put the sausage pieces over this. The dressing can be served on the side and added as needed. Hope you like this. 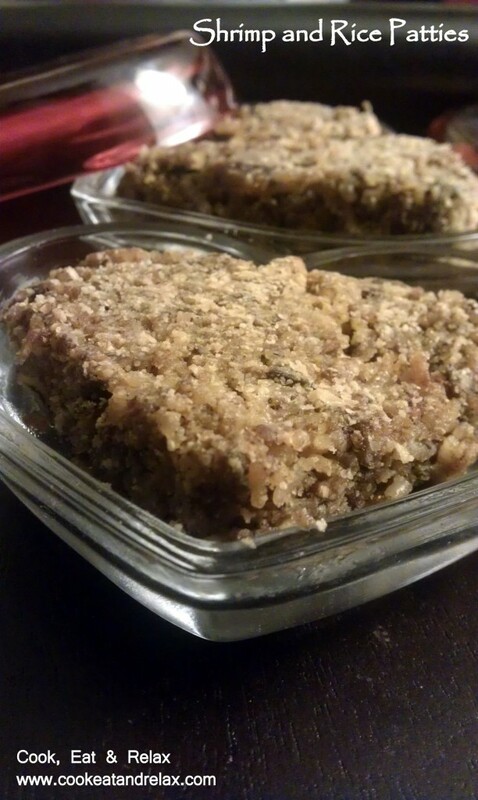 I loved it mainly because all the ingredients are usually in my refrigerator and it is easy to put together. And maybe I will bake something next, how about some rugelach or maybe some croissants. I am terribly late posting this challenge. Actually couple of weeks late. I bought all the ingredients for the challenge quite early but had a very hectic couple of weeks at work. But then I had to ultimately make the Tamales. I am actually surprised that I haven’t eaten tamales at a restaurant before. I actually loved the end result of this challenge and though it seems like a lot of effort, it isn’t a lot of work. Once the filling is prepared, the dough hardly takes any time. In fact Amit helped with the final putting together of the tamales. 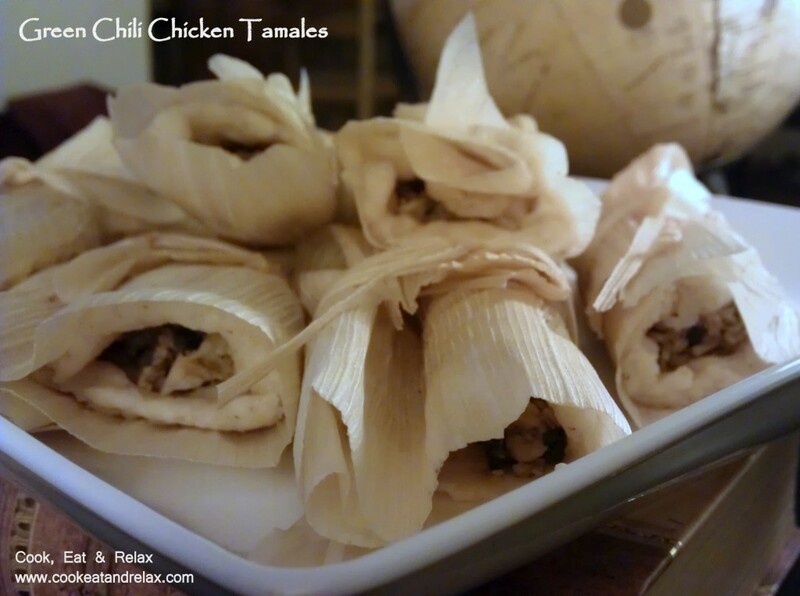 This recipe makes about 24 tamales. 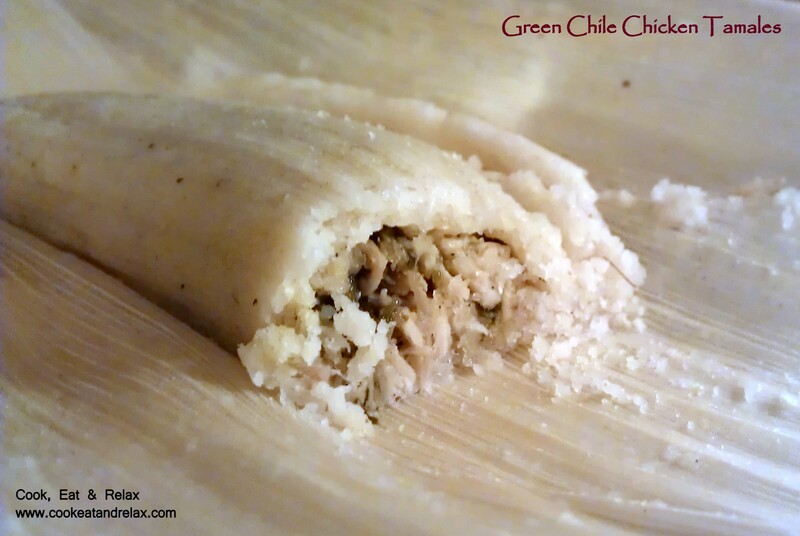 Note: If you use a traditional masa mixture (white corn flour, not to be confused with corn starch) you will need to add baking powder and salt for the Green Chile Chicken Tamales. Some masa mixtures can be purchased with the baking powder and salt already included. If you cannot find corn husks, you can use parchment paper or plastic wrap. Once husks are softened, boil chicken about 20 minutes or until fully cooked. Immediately place hot chicken into the bowl of an electric mixer with the paddle attachment. Turn mixer on high to shred chicken (this takes about 3-5 seconds). Add in the chicken broth, stir to mix well. Reduce heat to medium low and allow to simmer, stirring occasionally until mixture coats the back of a spoon and is reduced to about a cup (240 ml). Stir in the chicken and cilantro. Salt to taste. Prepare the dough. In the bowl of an electric mixer, on medium high heat, cream together the lard or vegetable shortening, baking powder and salt. Mix in the masa harina, one cup (240 ml) at a time. Reduce the mixer speed to low, gradually add in 1 ½ cups (360 ml) of the chicken broth. If the mixture seems too thick (you can taste it for moistness) add up to ½ cup (120 ml) more of the broth 2 tablespoons (30 ml) at a time. (The dough should be a cookie dough like texture). Take 3 large corn husks and tear them into ¼ inch (6 mm) strips. (I would suggest you put these back in the water until use because they dry out and start breaking when you try to work with them. Take a large pot with a steamer attachment. Pour about 2 inches (5 cm) of water into the bottom of the pot, or enough to touch the bottom of the steamer. Line the bottom of the steamer with corn husks. Unfold 2 corn husks onto a work surface. Take ¼ cup (60 ml) of dough and, starting near the top of the husk, press it out into a 4 inch (10 cm) square, leaving 2-3 inches (5 -7½ cm) at the bottom of the husk. Place a heaping tablespoon (15 ml) of the filling in a line down the center of the dough square. Fold the dough into the corn husk. And wrap the husk around the dough. Fold up the skinny bottom part of the husk. And secure it with one of the corn husk ties. I was very wary about whether we would like Tamales. Specially since we have never eaten them before. But I am going to make these pretty often at home. We loved it. And I am definitely going to try some tamales at a authentic Mexican restaurant so that I know how it is supposed to taste. I am pretty sure this is pretty close to the real deal, after all it’s a daring cooks challenge recipe! I hope you do try it too. I am very sure you will love it too.